Broad similarities in structure allow the three works to seamlessly complement each other, yet this same aspect robs the evening of a standout moment or conceptual highpoint. 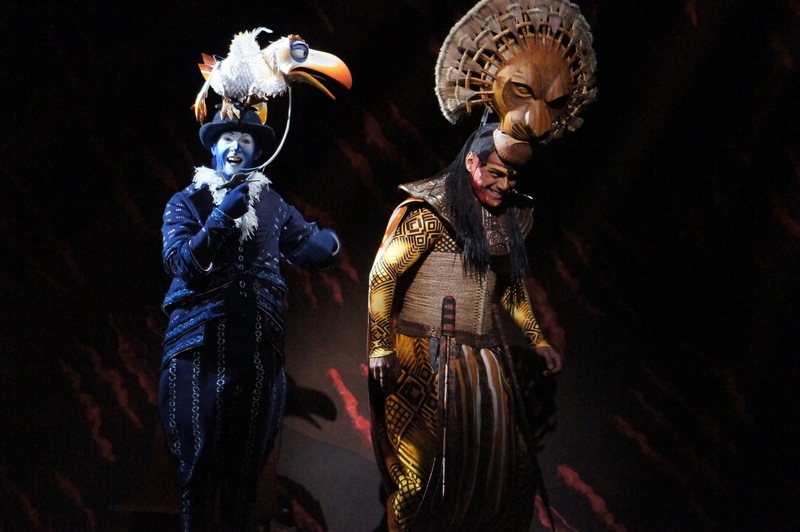 Mixed programs bring the opportunity to see more than two Principal Artists on the one night. 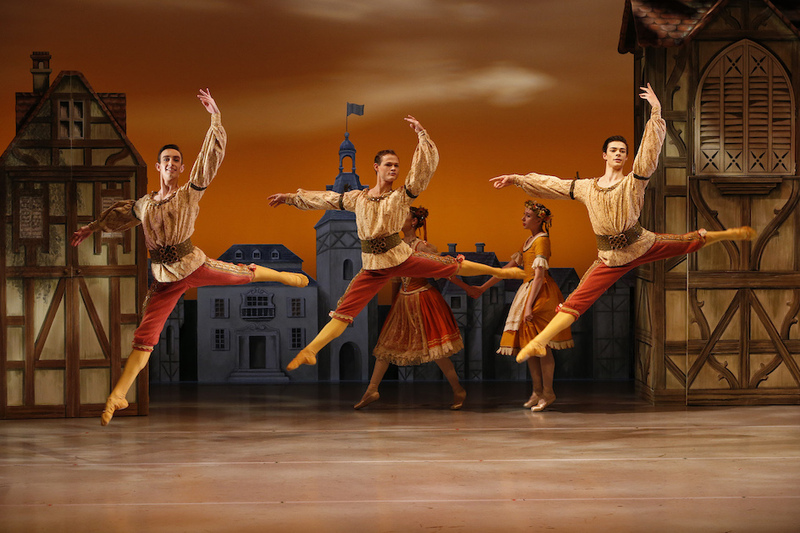 Verve is no exception, delivering four Principals on opening night, and yet what is most striking is the splendid evenness of the work of dancers of all rank in these three ensemble pieces. Resident choreographer Stephen Baynes’ 2007 work Constant Variants is first on the bill, setting a tone, style and quality of dance that will be followed throughout the program. Eight dancers grace the stage in pairs before moving on to various combinations. Abstract individuality gives way to moments of clean synchronicity and symmetry, with sections of the work punctuated by some striking lifts. Designer Michael Pearce provides massive corners of frames overhead, suggesting travels in an art gallery. All wear brief black trunks, the men in sheer black tops and the women sporting dark burgundy bodices. 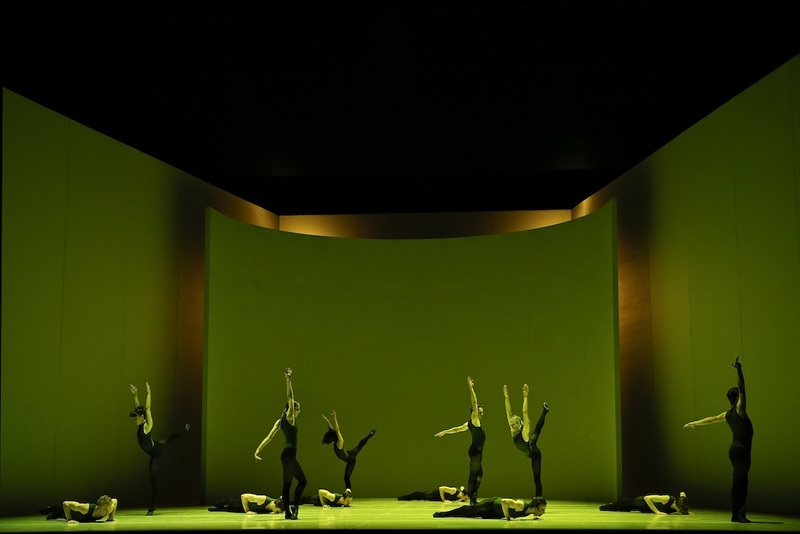 Jon Buswell’s lighting allows dancers to magically emerge from the inky blackness upstage. The accompanying score is intrinsically embedded in the piece. Tchaikovsky’s “Variations on a Rococo Theme” has a classical purity with an edge of excitement that comes from the expert cello solo of Teije Hylkema. Coryphée Alice Topp has been gradually building a choreographic body of work, and word premiere Aurum represents a significant step forward. Beyond the quality of the choreography itself, Aurum (the Latin word for gold) is emboldened by a very clear sense of confidence in its creation. Topp has crafted an abstract ballet with a fascinating and very well realised theme, and has staged the work with a keen eye for striking visual effect. Topp connects kintsugi, the Japanese practice of highlighting repairs in gold, to the concept of humans embracing scars that have transformed their lives. Twelve dancers begin in pairs, with a male dancer curved at each female dancer’s feet. Topp’s costume design links the male/female pairs in that men wear white pants while women white tops (over the briefest of trunks). Buswell provides synergetic design in which the flooring, lined with cracks, rises to form a backdrop. Rear lighting gives the cracks the appearance of veins of gold. Topp achieves particular success in achieving energy and interaction between dancers. The second movement is a fiery pas de deux between Adam Bull and Coco Mathieson which reads like a passionate domestic dispute between lovers. This feeling is resolved in the fourth movement, in which Kevin Jackson and Leanne Stojmenov dance a lovely pas de deux that conveys the beauty of tender, romantic love. Energy reaches a peak as all twelve dancers take to the stage in the third movement. Brimming with verve, this exciting sequence scores the most enthusiastic applause of the evening. First seen in 20:21, (2014) fellow resident choreographer Tim Harbour’s Filigree and Shadow returns to neatly complete this program. Set to a crackling musical soundscape by 48nord (Ulrich Müller and Siegfried Rössert), the whirlwind work is performed with fleet, nimble energy. In an interesting casting move, the twelve dancers are taken from all ranks except Principal, giving a range of dancers the chance to shine. Brett Chynoweth, Marcus Morelli and Shaun Andrews perform a crowd-pleasing pas de trois. Gender neutral sheer black costumes allow combinations of dancers to flip and change with no particular emphasis on male/female combinations. 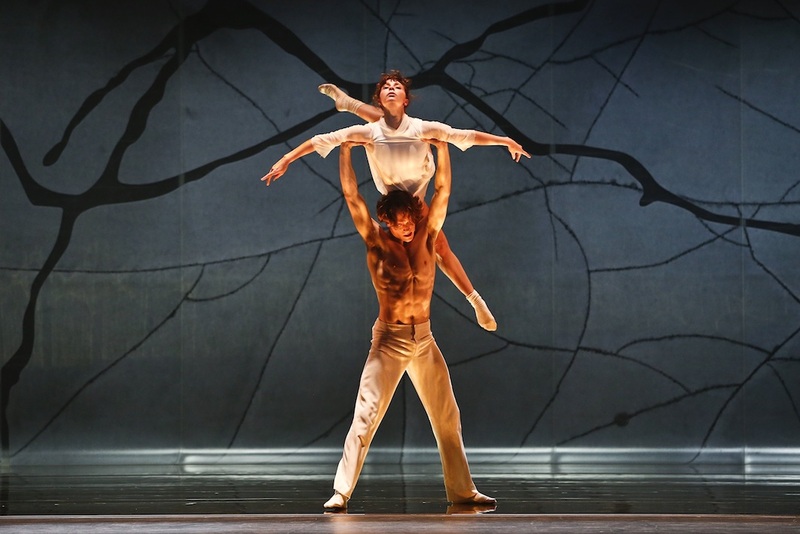 The towering white walls of Kelvin Ho’s set design create an imposing backdrop, as well as allowing Benjamin Cisterne’s dramatically swift lighting transitions to be seen to best effect. 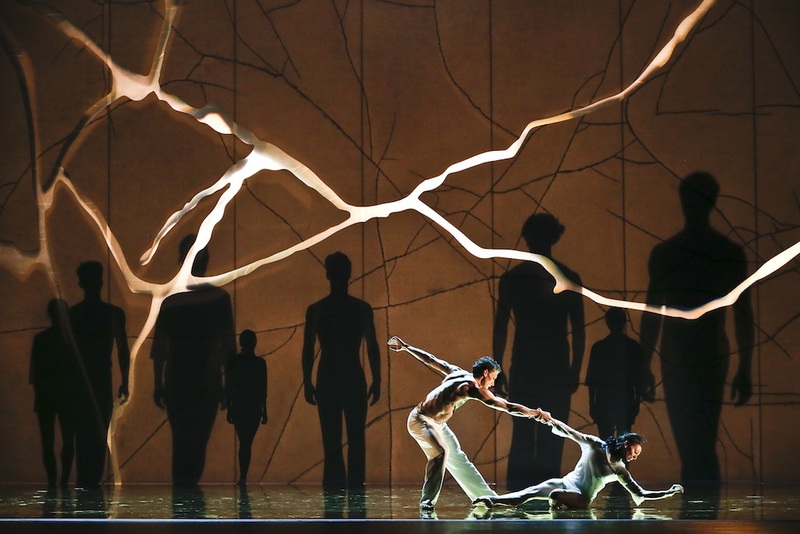 Described by Harbour as the representation of birds surviving a hurricane, Filigree and Shadow builds to a frenzied peak and then leaves the dancers lying spent across the floor. Lovers of modern dance are sure to enjoy the chance to see performers of such high caliber in Verve. After the curtain, artistic director David McAllister announced the recipient of the 2018 Walter Bourke Award: corps de ballet dancer Mason Lovegrove. 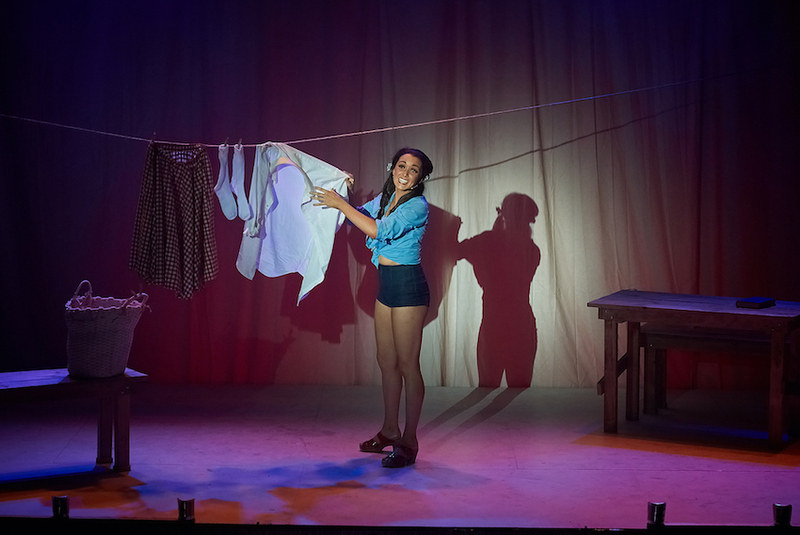 Verve plays at State Theatre, Arts Centre Melbourne until 30 June 2018. Read the Verve casting list. Read the Verve program notes. Hi Simon. Went this afternoon, and thoroughly enjoyed the triptych, especially Aurum!!! It was also great to revisit Filigree and Shadow – although I’m sure the music was louder than it was in 2014. As always, I find your reviews delightful, and thought-provoking. Hi Fiona, thanks for your kind words. Glad to hear you enjoyed Verve. I think Aurum is a terrific achievement. Interesting comment about the volume in Filigree and Shadow, I’m afraid I can’t remember. As always, dance of the highest caliber from the company. Looking forward to Spartacus! An exquisite and intense performance last night, Monday 25th. We are so lucky to be part of and enjoy such a level of creativity.